The Granary is a beautiful 3-bedroom holiday cottage. 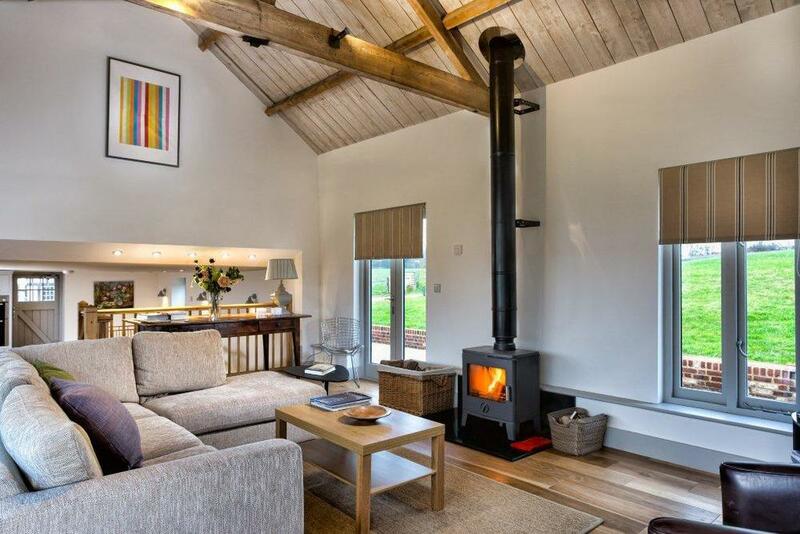 This stunning barn conversion is available to let for your perfect holiday. The Granary is a beautiful three bedroom holiday cottage. This stunning barn conversion is available to let for your perfect holiday. 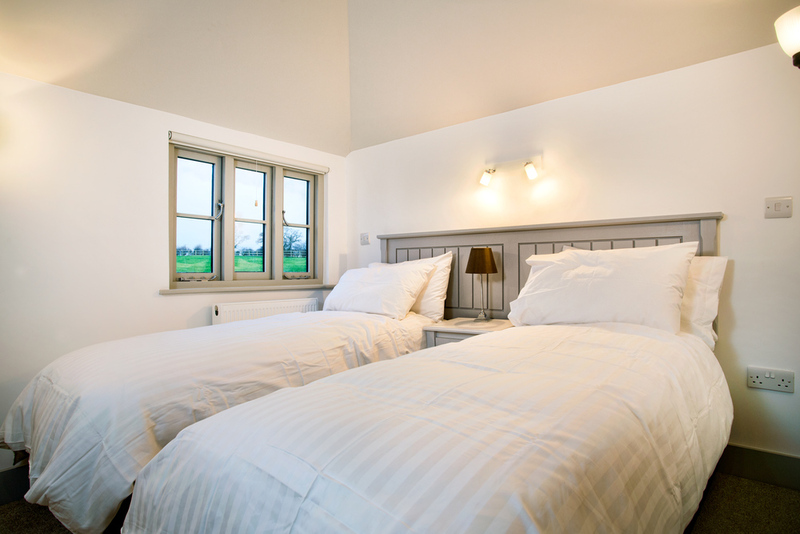 The Granary is the largest barn conversion which sleeps up to six people plus two babies with travel cots available on request. The ground floor living area benefits from a high raftered ceiling and is flooded with light from a wall of slider glass doors which open onto the central lawn quadrangle. The living area is furnished and finished with comfy L-shaped sofas, a Freeview TV with Blu-Ray DVD player, a wood burning stove and smooth wood floors with underfloor heating. A few steps down from the living area is the spacious, hand-crafted kitchen and dining room, featuring granite worktops and German appliances, including a double eye-level oven and grill, induction hob and a large fridge freezer, plus a table which seats 6, with a high chair available. There is even a Nespresso machine. A washing machine and tumble dryer are free for guests to use in a separate shared laundry. 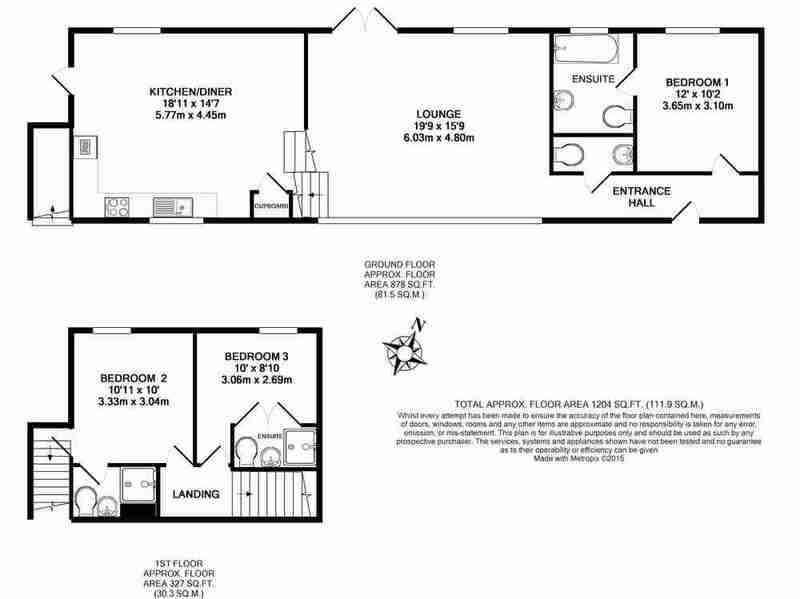 One of the three bedrooms is on the ground floor, with a super kingsize bed and an ensuite bathroom. Two other bedrooms are on the first floor, comprising one with twin single beds and one with a super kingsize bed that can be split into twin single beds and both these bedrooms have ensuite shower-rooms. At the rear of the cottage, guests have a private, sheltered patio area overlooking the fields, with outdoor dining table and a Weber barbecue. Beamed bedroom with super kingsize bed and en suite bathroom. Large, light living room with wood burning stove and doors onto patio. Super kingsize/twin bedroom with ensuite shower room. Twin bedroom with ensuite shower room. A sheltered patio area at the back of the accommodation looks out onto fields.